Honey flavored cake with a honey cream cheese icing. Topped with a honey butterscotch glaze and garnished with chocolate "honeycombs." 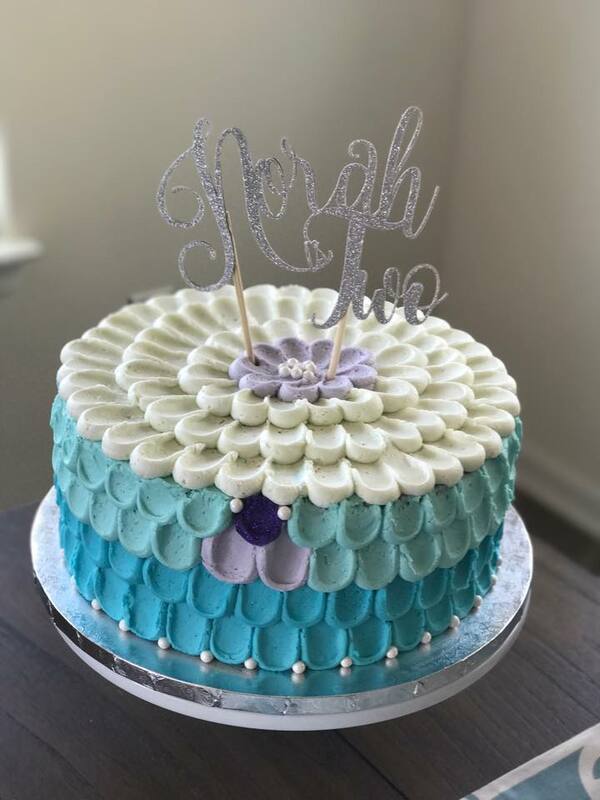 Mermaid scale cake with custom topper. Coconut cake with a coconut cream cheese icing. Unsweetened shredded coconut garnish. Chocolate cake, vanilla Swiss meringue buttercream, milk chocolate ganache topped with maraschino cherries and colorful sprinkles! Champagne cake with a strawberry buttercream, Fresh strawberries between each layer of cake! Fondant and royal icing skyline. Made from scratch chocolate cupcake with topped with a made from scratch sweet buttercream icing tinted dark pink and sprinkled with edible silver star decor. Chocolate cake filled with delicious Nutella and topped with a Nutella buttercream. 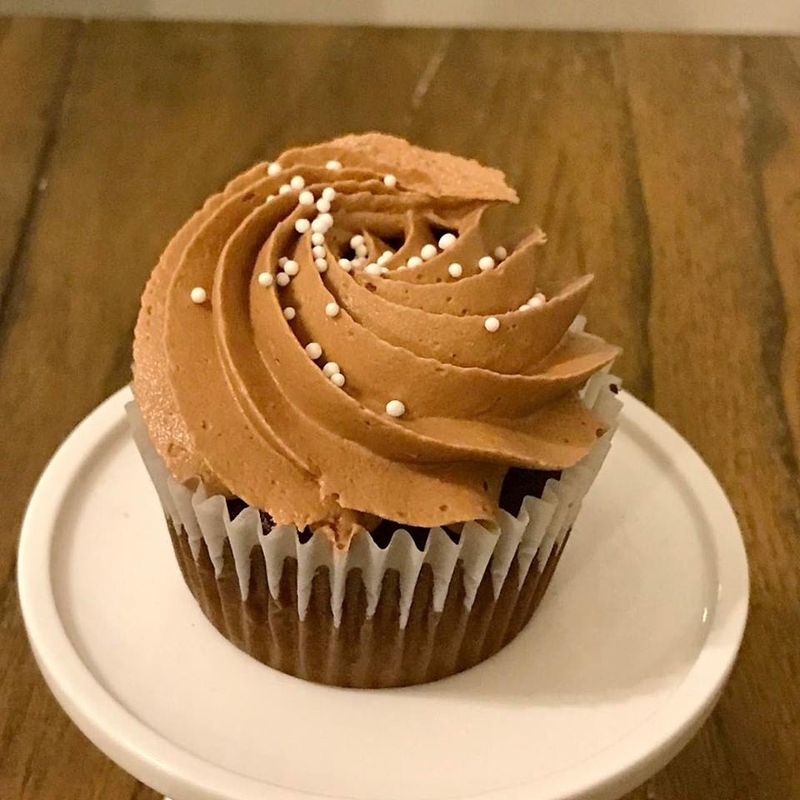 Chocolate cupcake topped with a milk chocolate ganache, marshmallow frosting and graham cracker crumbs. Chocolate cupcake topped with Bailey's Irish Cream-infused buttercream and drizzled with a Bailey's ganache. A peach cupcake topped with peach cream cheese icing. Peaches from The Peach Truck. Rich made-from-scratch chocolate cake with and even richer made-from-scratch chocolate frosting and generously sprinkled with chocolate shavings! Marble cake decorated with sweet buttercream ruffles and rosettes in ombre pink. Ears, bow and "1" decor hand crafted using gumpaste. Handmade gumpaste Minnie Mouse ears and bow. Delicious pumpkin cake iced with a cinnamon cream cheese frosting swirl. Cinnamon cream cheese swirl top view. Two-tier made from scratch cake. Top tier is lemon with a lemon curd filling. Bottom tier is a strawberry cake with a strawberry filling. Made from scratch cream cheese icing and hand piped flowers. Topper also made by me. Made from scratch caramel cake and topped with a made from scratch Italian meringue frosting. Rosette decor with white chocolate pearl garnish. Top of Italian meringue rosettes. Made from scratch almond cake topped with a made from scratch buttercream. Roses and pearl border hand piped. Made from scratch chocolate cake topped with a made from scratch buttercream. Hand piped. 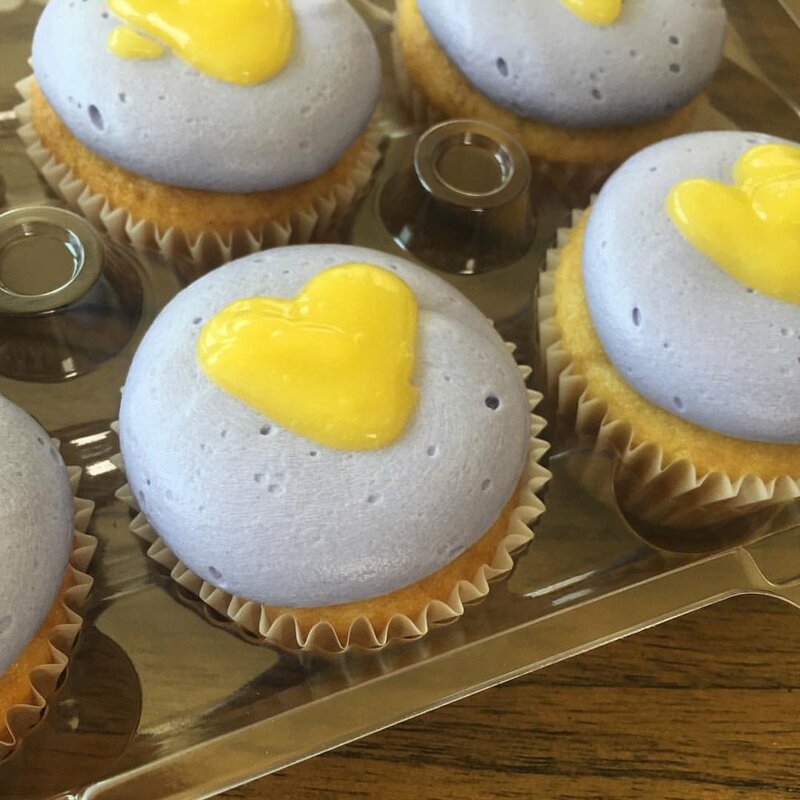 Blueberry cake filled with lemon creme and topped with blueberry-flavored made from scratch cream cheese icing. Garnished with a lemon curd heart. Vanilla cupcake topped with a navy swirl. Vanilla cupcakes topped with pink buttercream rosettes and gold non-toxic glitter. Made from scratch chocolate cupcake topped with made from scratch peanut butter frosting, Reese's Pieces as garnish. Homemade Oreo truffle baked inside a vanilla cupcake and topped with Oreo buttercream. Topped with white chocolate pearls. Made from scratch chocolate cupcakes topped with a Biscoff-spread flavored buttercream with a Biscoff cookie as garnish. Special order. White cake tinted and layered. Topped with white buttercream. 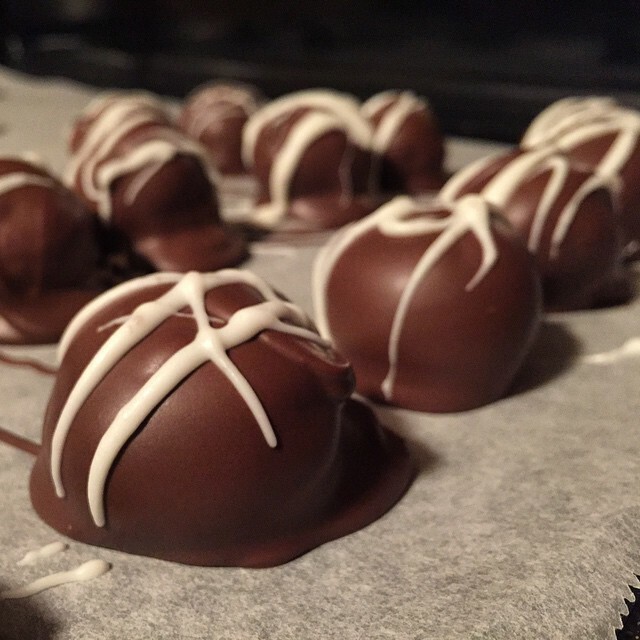 Oreo truffles coated with melted chocolate or almond bark.